The Big Eddy – Knight No. 1 project was a major undertaking. 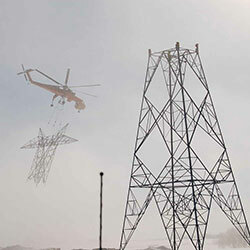 The project involved the build and replacement of 29 miles of double circuit 500kV transmission line along with lattice steel towers and associated access roads. 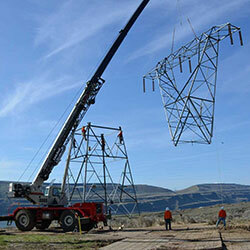 It also required stringing new conductor across the Columbia River. Specific project elements included drilling and blasting for the installation of grillage, plate, and concrete pier footings; installation of fall protection flanges, grounding, counterpoise, insulator assemblies, compression fittings, vibration dampeners, conductor spacers, and overhead guide wires. 72-count ADSS fiber optic cables were installed, spliced, and tested, and two fiber vaults were installed. Additionally, the project included new hardware, insulators, and conductor for the North Bonneville – Midway No. 1 230kV line through the Knight Substation dead-end bays and splitting the existing Wautoma – Ostrander No. 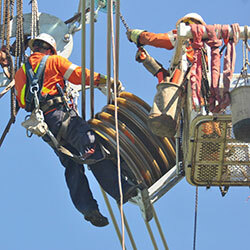 500kV line into two new operational lines. 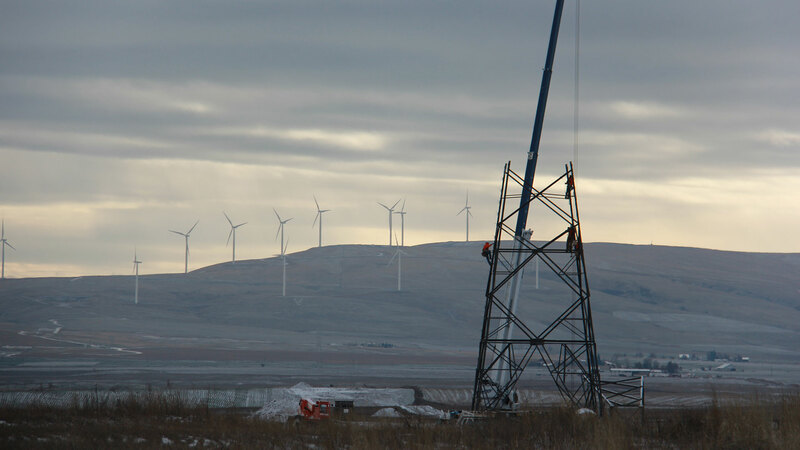 A new trapezoidal wire conductor was tested on this project, which allowed equal amperage in a smaller diameter as part of the Energy Power Research Institute’s Transmission Efficiency Initiative. During the design phase, MacKay Sposito provided land surveying services and prepared plan and profile maps. We then oversaw construction of the project via on-site inspectors and a Resident Engineer to tackle the paperwork. The river crossing was especially complicated as we tracked coordination through the Federal Aviation Administration, US Coast Guard, US Army Corps of Engineers, the Washington and Oregon Departments of Transportation, Union Pacific Railroad, BNSF, the Yakima Nation, Barge Entities, CenturyLink, landowners, and other local entities.